Flanders has a reputation as a pioneer in high-tech industries. The region is not only an early innovator in broadband, wireless and satellite communication; Flanders also excels in strategic digital domains and is home to several leading developers of a broad range of cutting-edge technologies. A supportive government and a tight network of private companies and independent research centers drive the industry forward. From the imec research center for nano- and digital technology to numerous cluster organizations and incubators: Flanders is home to a cutting-edge business and knowledge ecosystem to support the development of a digital society. Discover Flanders’ digital ecosystem from A to Z.
Flanders offers extensive know-how in several strategic digital domains, including nanotechnology, banking solutions, telematics & geo-ICT, telecom & network equipment, digital audio, video & printing solutions, and software products. creative media, gaming and animation. ICT research programs at Hasselt University’s Expertise Center for Digital Media (EDM). 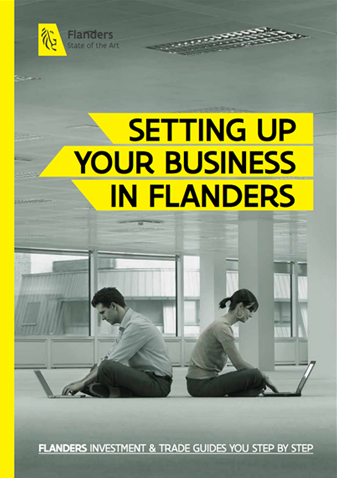 For businesses looking to establish or expand their digital activities in Europe, the region of Flanders provides an ideal location. Its capital, Brussels, is home to the headquarters of the EU, NATO and a large number of international governmental and non-governmental organizations. Brussels is one of Europe’s most prominent IT hubs and among the continent’s high value-added service regions. It owes its position to the strong concentration of American and European IT multinationals in Brussels and Flanders, especially in the fields of integration and business process outsourcing. The numbers clearly tell the tale: 10% of Brussels’ GDP is generated by IT. 68% of the people working in the Belgian IT sector work for an IT multinational. … Dr. Robert Cailliau – who invented the World Wide Web (WWW) together with his British colleague Sir Tim Berners-Lee – was born in Tongeren, Flanders? ... Belgium, and Flanders as region, is one of the leading performers in connectivity? … The basics of broadband internet (ADSL) were invented in Antwerp, Flanders? … Belgium’s network coverage is nearly complete? 99% of the country is covered by fast networks (up to 1 GB). … According to Netflix, Belgium (Flanders) has the highest average download speed of all countries where the streaming service is available?